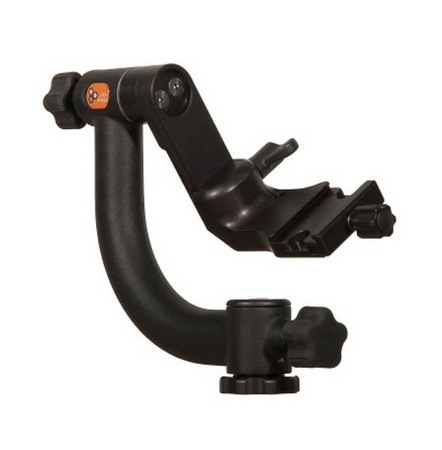 Jobu Design "Heavy Duty Mark IV Gimbal Head"
The Jobu Heavy Duty Mark IV picks up where the HD3 left off. We're never happy with the status quo, so we took the top-selling HD3 head and tweaked, revamped, and redesigned everywhere we could. This work resulted in a stunningly light gimbal head, just barely over 1000grams. New! Ships with the Surefoot SF-NXK kit lens plate for free. This 3.0" plate is suitable for smaller lenses or camera bodies, and is enough for most people to get practicing right away with their gimbal heads. We still recommend a custom-fit plate, but you will always find a use for this handy accessory. Includes allen keys and 1/4"-3/8" adapter bushing.